nice, but i think this would have been more famous around the chritmas season, good work though! I guess this has been done before, but I hadn't seen/heard the joke prior to this, and I like your image, so I'll let the vote stand. Cant unhear. Thanks for f*cking up my entire life. http://laterwellhavepie.ytmnd.com/ is one of them. 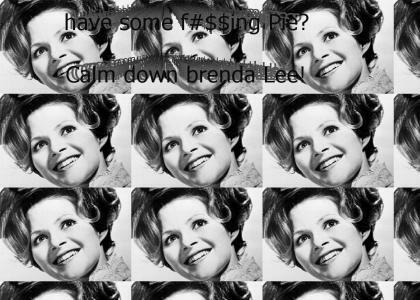 There's another one if you search for "Some F*ckin Pie", and there's also one more that was done better than those 2 imo but idk what key words it uses. OMG I just broke the system, two comments without a 30 second wait margin! WIN! Clearly she's saying "Later we'll have some f****** POT", not pie.